The Plant! Indescribable! Indestructible! Nothing Can Stop It! The Plant – Indescribable… Indestructible! Nothing Can Stop It! 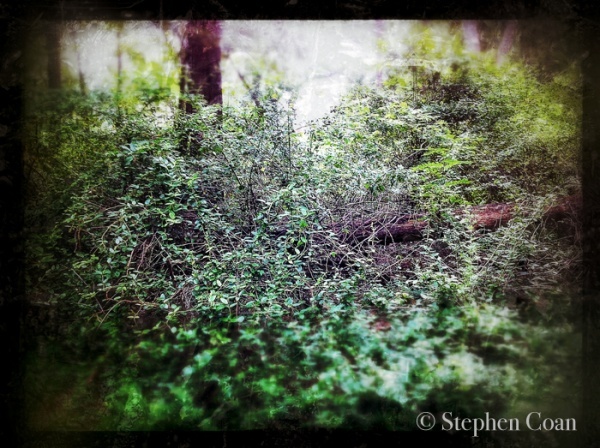 or: Invasive Plants – the ruin of America’s natural history and identity. or: What not to plant. Invasive plants and organisms are one of the greatest threats facing our natural ecosystems in the United States. They are destroying America’s natural history, native plant communities, and national identity. We as a society that likes and needs to have plants in our home and office landscapes are an unwitting accomplice to the takeover by these invading alien species. It’s like the Invasion of the Body Snatchers. We use plants that look like they belong here, why else would that Garden Center be carrying a particular plant - money, but when we plant them they can take over, reproduce, spread their seed, and crowd out the native plant communities that are so important to the biodiversity in our landscape. A plant food web chain so to speak. Over millennia species have evolved to coexist together and be dependent upon each other for food, shelter, and places to bear their young. When a plant like the Multiflora Rose, Rosa multiflora, is brought in from Japan as an under-stock plant it was spread throughout the country by Us planting them for different purposes and then by the birds eating and then spreading the seeds in their droppings. This invasive plant outcompetes the native plant community, crowding them out forming dense thickets many feet tall, I’ve seen and experienced large thickets on the edge of woods that are over six feet tall and full of eviscerating thorns. A nasty experience if one fell into a patch. Doug Tallomy, a Professor & Chair of Entomology and Wildlife Ecology in the Department of Entomology and Wildlife Ecology at the University of Delaware in Newark, Delaware has written the book “Bringing Nature Home” revised and updated in 2009. This is the treatise to use in correctly creating a biodiversity of plants that are beneficial to all native species from caterpillars, to butterflies, to birds and all of the beneficial insects. Reading it is a real eye opener but a good guide as to what are the most beneficial plants out there. For example an Oak, Quercus sp., can feed at least 534 species of Lepidoptera – Butterflies and Moths. His research has shown that a native plant/tree can provide over 35 times more insect bio-mass than can alien species of plants. This means that there is 35 times more insect food for baby birds with natives than with alien plants. Most insects are completely dependent upon specific native plants for food. They have developed to be only able to eat certain species of plants. Without that particular plant food source they will not be able to eat, reproduce, and thrive. As a result the food chain is interrupted and greatly diminished. Larger creatures depend upon the insects to feed their young. For instance birds feed their young a diet almost entirely consisting of insects. If the plant food for the insect is gone then the insect food for the baby birds is therefore gone and so on. The Nature Conservancy states: “Invasive species damage the lands and waters that native plants and animals need to survive. They hurt economies and threaten human well-being. The estimated damage from invasive species worldwide totals more than $1.4 trillion – five percent of the global economy.” This is a real (scary) number. If left unchecked we as a society are in for some problems. Now this does not mean that all plants that have been imported into this country are invasive, quite the contrary. Most are not invasive and are friendly to their neighbors. Some even have some beneficial attributes to the native fauna but they as a whole do not have the ability to provide food to the beneficial insects like native plants can. So please try NOT to use plants that are considered an invasive species and beware of plants that are on the watch list. For more information please take a look at my Invasive Plants Information section and my Native Plant Information section in the “Resources” section of my website. I’m Stephen Coan, of Stephen Coan LLC at Ferret Hollow Gardens, an ecological landscape designer and ornamental horticulturist certified by Longwood Gardens. I create beautiful and ecologically friendly landscapes and gardens.